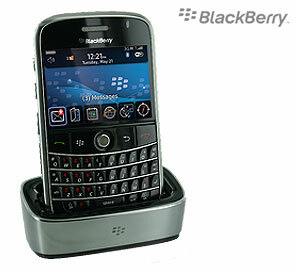 Recently I decided to move back to my BlackBerry Bold 9000 from the 9780. With the bigger keyboard, silver edges and, believe it or not, the trackball, I find the 9000 an absolute joy to use. I ran into a problem though, my email accounts would not move over. I used email setup as usual and got presented with the screen accurately saying that a new device had been detected and my accounts had to be moved. I agreed and entered the passwords for each one, nothing happened. They reported success but no activation mails, no nothing. 1. Rather than going to Email Setup navigate to http://mobile.blackberry.com on your device browser. 2. Select your country from the drop down. 3. Scroll down and select to Email. 5, You will be presented with a screen notifying you that a new device is detected and asking you to move your accounts. 6. You will finally be presented with a screen listing each account and asking for your passwords to validate, enter the passwords one-by-one hitting the validate button on each as you go. 7. Once all accounts are validated you should be presented with a success screen and in 20 minutes your emails will start to arrive again. I hope this helps anyone else who encounters this rather awkward problem.